If you’re anything like us here at Area3, true lovers of modern and minimal, words like perfectionist, and over-analytical may often be used to describe your personality. This just means you pay extra special attention to all the details. Emphasis on the word “all”. So what is it that sets certain people apart? Especially those with great taste for design, from the messy, and chaotic bunch? Well, unfortunately there isn’t much of an answer out there for you, without getting into a whirlwind of scientific facts about individuals brain chemistry. Nevertheless, we’re telling you to embrace it. It’s a designer’s personal superpower. No one can organize better than you, or colour co-ordinate a space better than you! Your guests and clients will feel the effects of your design choices, even if they don’t consciously appreciate it. That attention to detail, obsession for flawlessness, and precise brain of yours is literally a miracle worker. 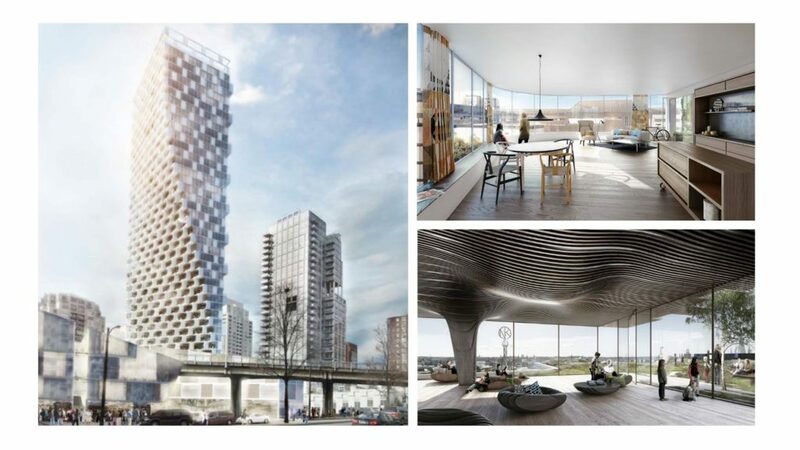 Think of Bjarke Ingles, the famous Danish architect who recently designed the exciting Vancouver House. A house where green living is so holistically integrated into the scale of the urban building. Bjarke Ingles Group must have gone through revision after revision to get every idea and feature just right. Another Danish architect firm, pushing boundaries through meticulous consideration for detail to innovation is Schmidt Hammer Lassen Architects. They have developed a few buildings across Canada, and plenty of international projects. All of which reflect gorgeous, minimal design, and that Scandinavian style we so love. Such as the simple, light, and open floor plans in the residencies of Hasten 21, located in Stockholm Sweden. The ability to design the entire inner workings and exterior of a functional building, requires so much detail and attention, that verging on the traits of a perfectionist is almost necessary. That inner perfectionist of yours is just as brilliant as the Danes, and that’s something we believe here at Area3, is a quality to be proud of! Vancouver has no shortage of talent in the realm of arts. With graduates from renowned Emily Carr University of Art + Design as well as many studio spaces spread across the city, Vancouver is a hotspot for emerging artists. Fortunately, Vancouverites are able to get a glimpse into the work and studios of these talented individuals with festivals such as the Eastside Culture Crawl shining a light on local visual arts, design and crafts. Out of the 519 artists that were featured in the latest Eastside Culture Crawl, we have picked out a few that really stood out to us to share with you. 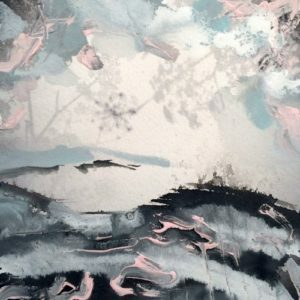 If you are looking for a new art piece for your home, make sure to check out the work from these local Vancouver artists! 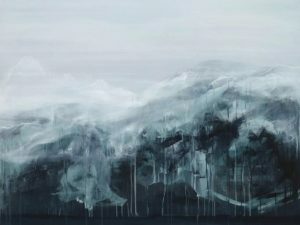 Through a combination of photography, painting and drawing on watercolor paper, Wood is able to depict the moody quality of the West Coast of BC in her work. Primarily monochromatic with subtle hints of color, each piece in her latest collection is unique with an understated whimsical quality. Informed by her background as a fashion designer, Sinclair’s work juxtaposes a diversity of media and found objects on the given plane. She allows each piece to evolve and find its own form by creating a transition between the natural and industrial through spontaneous expression. 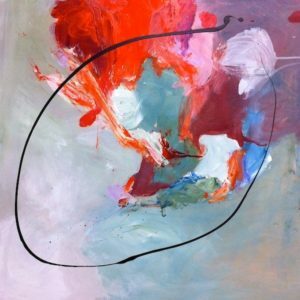 The intuitive relationship Breakell-Lee has with colour and space is very obvious in her work. 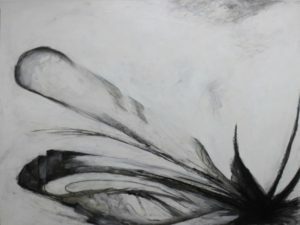 Her paintings have an ethereal perspective that is captivating – drawing your eye to it as soon as you walk into a room. In all her pieces, you can feel the energy captured in the brush strokes on canvas. Snapshots of memories portrayed through her paintings, Pilon has a unique approach to her work which makes it stand out from the crowd. 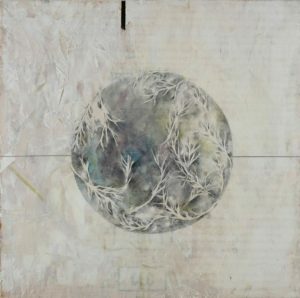 Through contemporary mixed media, she is able to tell stories of objects and events that otherwise wouldn’t have a voice. Intertwining and manifesting in wildly colored abstractions or soft and subtly layered atmospheric landscape paintings, Ochowycz’s paintings revolve around three primary concepts – translations, the imprint of social and geographical experience on memory and beauty. Her work allows viewers to navigate alternative translations and interpreted landscapes. Having studied both art and design, Popadiuk’s work has a conceptual quality. Her most recent works are evocative – presenting complex dichotomies such as calm vs. violence and balance vs. imbalance. 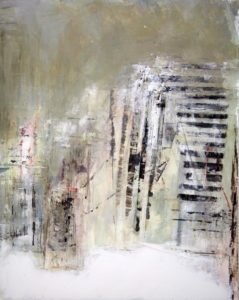 Even with a limited palette, she is able to create movement, texture and depth in all her pieces. 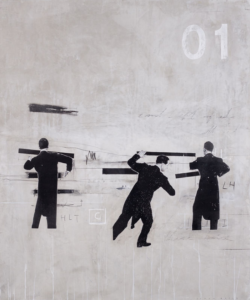 Conceptual and abstract, Aroeste’s work depicts authentic, spontaneous emotion and experience. 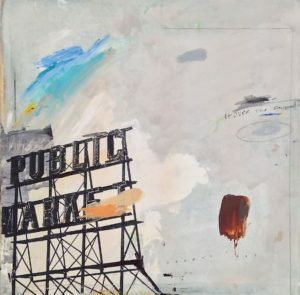 There is no doubt that the visual appeal in her work causes viewers to look at it over and over again, yet experience something different every time. Provoking and evocative, her pieces have a timelessness to them that keep them alive and relevant. Inspired by the Pop movement of the 1960s and the Do-It-Yourself movement in New York’s punk scene in the late 1970s to early 1980s, Boyle’s work has an inherently edgy street aesthetic that is met with a clean sophistication. A truly interdisciplinary artist, Humston is practiced in drawing, painting, photography, fiber arts and sculptural installation. In her work, she creates narratives that intersect environmental concern and ecological awe by combining abstracted aspects of nature with man-made elements. 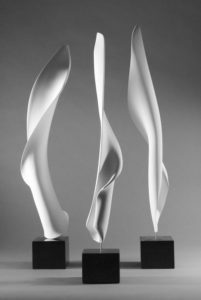 With just under 20 years of experience as a sculptor, Saxby works primarily in porcelain and black marble. Her sculptures introduce concepts of stillness, simplicity and sensuality – a contrast to our time-driven and complex culture.